Paramount announces that a special screening of Bumblebee will be held two weeks early on Saturday, December 8 at 7pm EST for the U.S. and Canada. 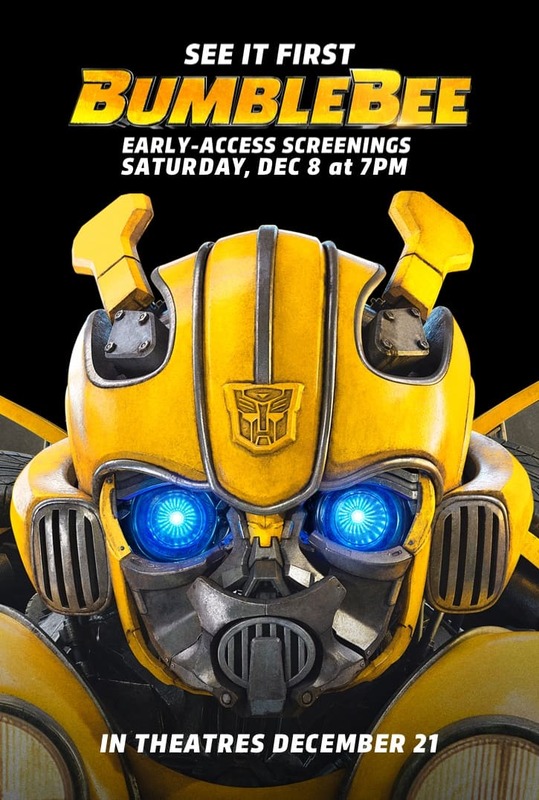 The tickets for the one-night-only event are currently on sale at BumblebeeMovie.com, and come with a special behind-the-scenes look at the movie as well as a take-home Transformers: Tiny Turbo Changers toy. Bumblebee opens regularly on December 21. Bumblebee is directed by Travis Knight starring Hailee Steinfeld, John Cena, Jorge Lendeborg Jr., John Ortiz, Jason Drucker, Pamela Adlon and Stephen Schneider, with the producers including Lorenzo di Bonaventura, Tom DeSanto, Don Murphy and Michael Bay, with executive producers including Steven Spielberg, Brian Goldner, Mark Vahradia and Chris Brigham.